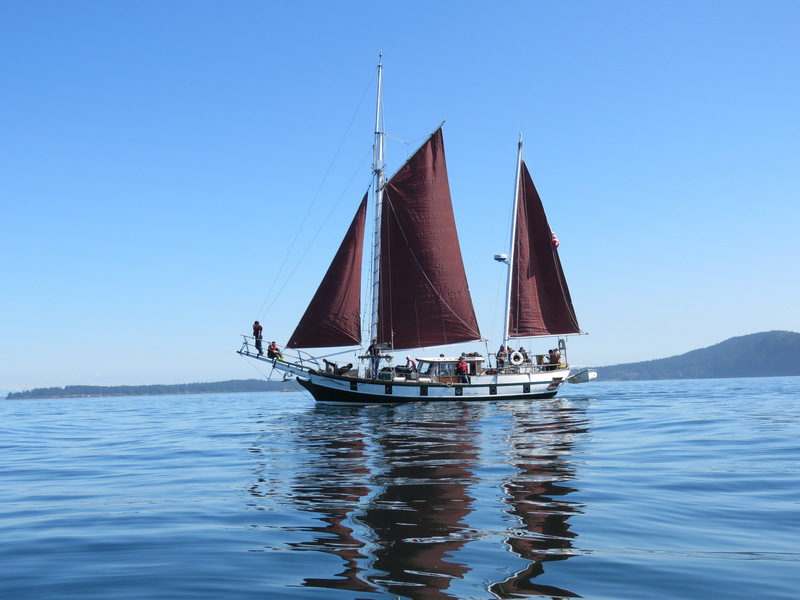 SV Cutty Sark – Æolian Adventures, Inc.
Captain John Colby Stone is a world sailor and maintains the 50 foot classic ketch, Cutty Sark through the educational non-profit Aeolian Adventures, Inc. 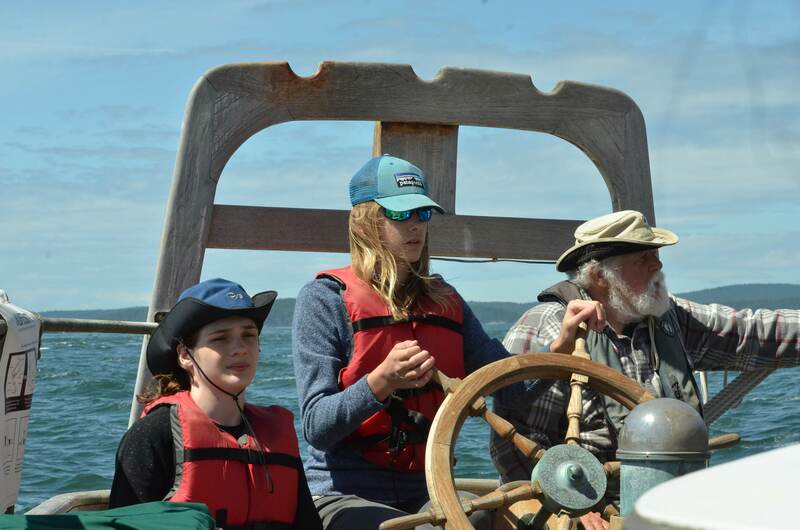 In the spring and fall S. V. Cutty Sark takes students on educational cruises in the San Juan Islands at no charge to the students or sponsoring organization. 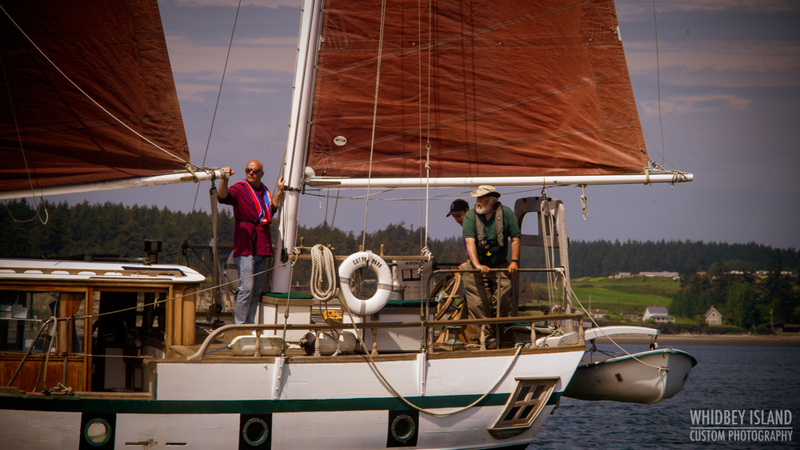 In the summer you will commonly see the ship on the waters of Penn Cove, taking passengers on sailing tours to support the non-profit student cruises. The Cutty Sark was built of teak by American Marine in Hong Kong in 1957. The first of ten sister ships of the Mayflower class designed by Hugh Angleman and Charlie Davies, she wears the number 1 proudly on her mains’l. She is broad of beam, providing stable sailing and plenty of room for comfortable deck lounging. Her pilot house offers an alternate steering station and comfortable sitting area for all-weather, year ’round sailing. 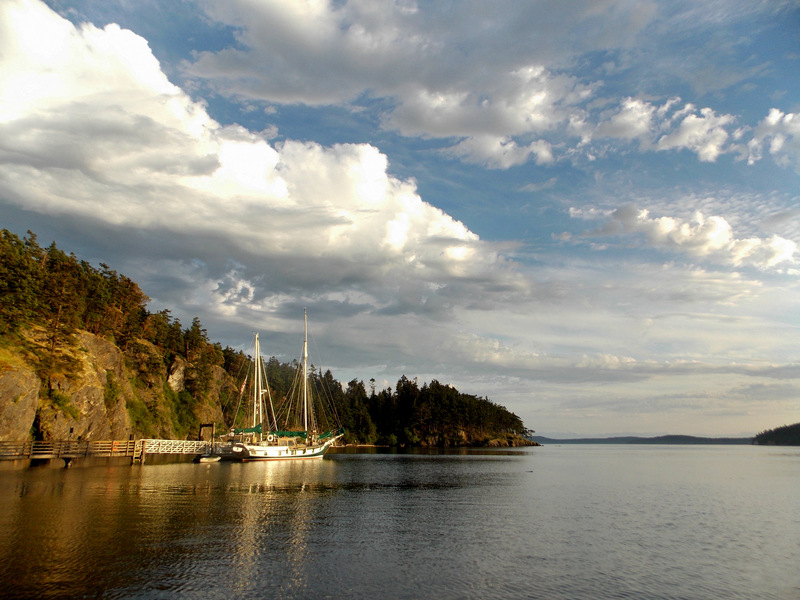 You can charter this beautiful vessel for scenic sails throughout the waters surrounding Whidbey Island and “do good” all the while having an exhilarating experience. 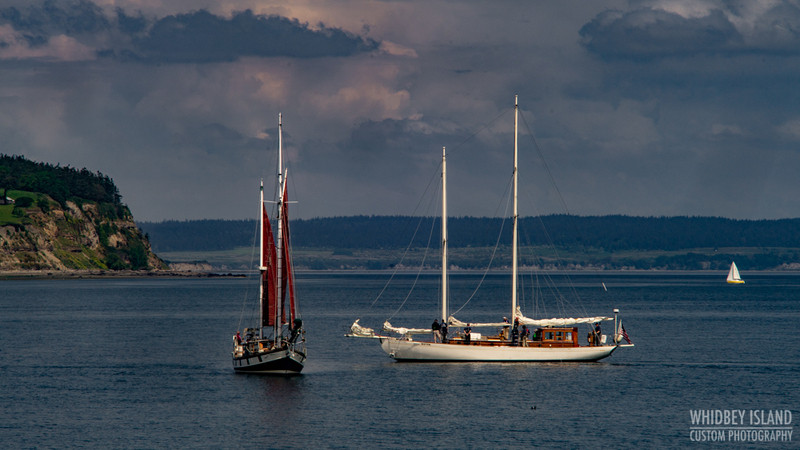 Relax, let the wind fill the sails, and Captain John Colby Stone assures you of a wonderful time.